Over the weekend it was my six moth bloggiversary, but I thought I’d wait until today to write about it because I want to try and stick to posting on Monday, Wednesday and Friday from now on. During the last few months I’ve really enjoyed writing these posts. I feel like I’ve learned a lot about myself and really taken stock of some of the things that I’ve managed to achieve during my 22 years on the planet. Before I would try and just shrug them off as me just living my life the best that I could. Now, I’d like to think I can see them as both of those things. I’ve come into contact with some really funny and inspirational people, whose own blogs and comments on mine, I find myself looking forward to, so thank you all for sharing your stories and making me smile. I’ve learned so much about other disabilities, and even more about Cerebral Palsy that I ever hoped I would. I’ve met people with great poems and funny stories to share who cheer me up on the days when I’m feeling a bit down, and my “books to read” list has grown bigger than ever, thanks to all the reviewers that I’ve discovered who pick up the things that I might not. After I uploaded my first post, I knew that this was something that I’d been wanting to do for a long time, but I didn’t have the confidence to start. I didn’t think that anyone would be interested in the things that I had to say, and now I’m so very glad for all the friends who kept telling me to “just do it” because now I can’t imagine my life without blogging in it, as corny as this sounds. Everyone who reads, hits the like button, or comments helps me more than I think some of you realise. You give me a great confidence boost and spur me on. I hope I’ll manage to do the same for some of you along the way too. If there’s anything you’d like me to try and post about over the next few months, please drop me a comment or a tweet and I’ll try my best to do it. Thank you all. 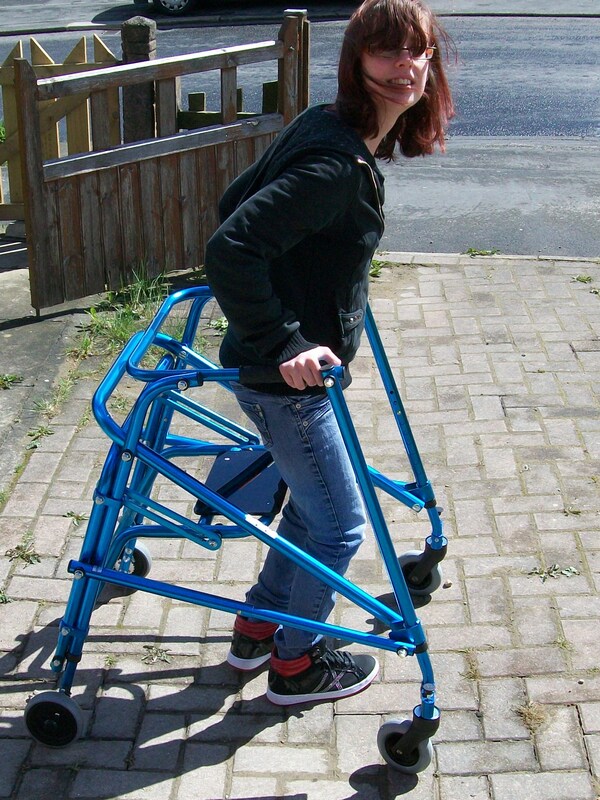 Of course, I feel like I can’t write this post without mentioning that my walking frame Martha and I have been a team for about the same amount of time. She was given to me a couple of weeks before I start this blog and we’ve already had so many adventures like leaving her in the car overnight, and getting lost together. With all the rain that we’ve been having, she’s developed her fist major squeak too. I think there’ll be many more to come. This week is set to be another busy one in the world of Martha and Nic (I feel like we need one of those cheesy couple names or something). I have exciting news to share with you all about some more treatment that I’ll be trying, but that’s a story for later on this week. In the meantime, thank you all so much for reading. It means a lot to me and I hope you’ll all stick around for a long time to come. Congrats on six months of blogging! That is fantastic, and I definitely relate to blogging expanding our friendships and lives in many ways. To many happy months to come! Thank you! I would totally be losttwithout my blog now I think. It’s nice to know that you can relate to things I said.